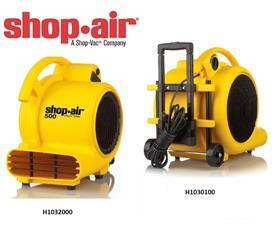 Great for shop ventilation and cooling, floor and carpet drying, room drying, smoke/odor evacuation, and storm damage. Units are stackable for easy storage. 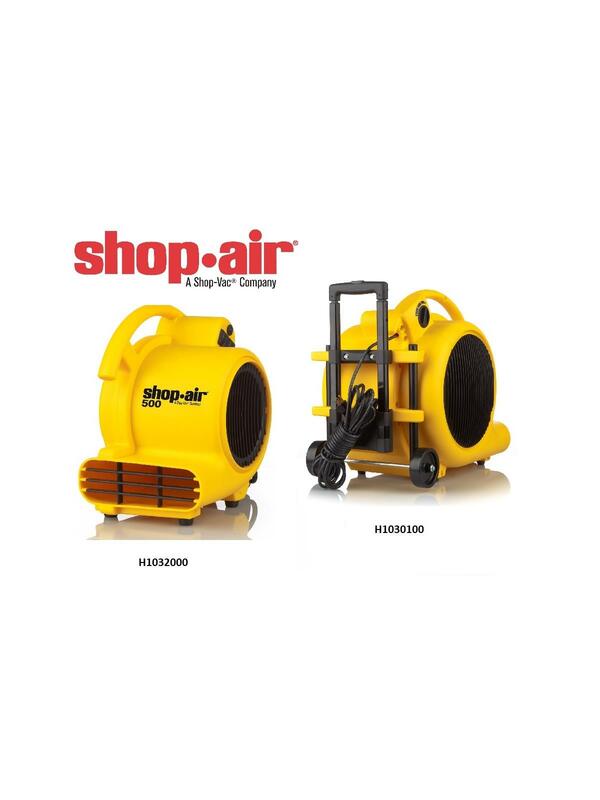 200-1000 CFM models have 3 operating positions and are lightweight and portable. 1800 CFM model has 2 operating positions and includes a collapsible transport handle and rear wheels. H1032000 and H1030400 have built in outlets to connect multiple units. FOB Shipping Point.